I thought you guys might like a 3 photo sketch again. I get alot of requests for them. 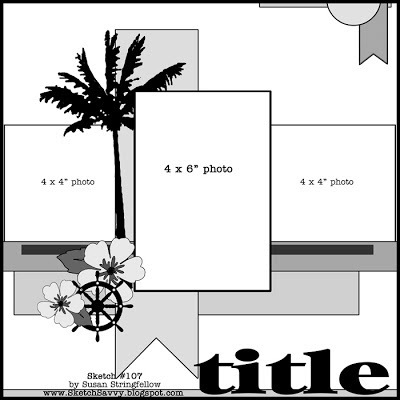 I also get alot of requests for layouts that have one portrait and one landscape photo. They are tough for me too so I am working on that :) Thanks for the input! This is so lovely, Susan! 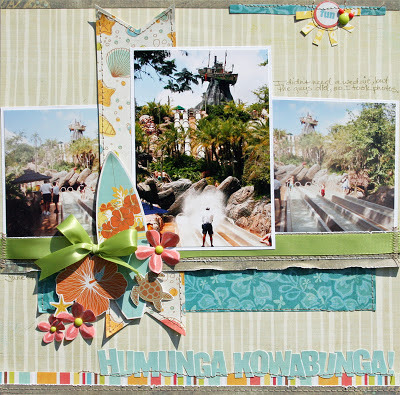 Great colors, love the way you have used the embellies and the sweet bow! Cute sun, too! Into my faves! this is awesome! love all the tropical touches. These are my favorite pages, I love the tropical papers and emblishments. Great sktch and lo..LOVE those papers you chose! Thanks for another great sketch, which worked perfectly for some of my 2012 Christmas photos!